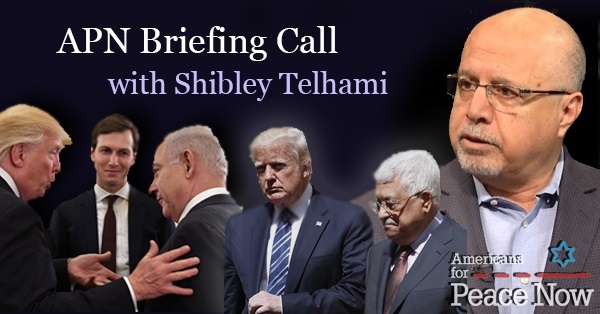 Professor Shibley Telhami, an expert on Palestinian politics and on U.S. Middle East policy joined us on a briefing call on Thursday July 19th, 2018. 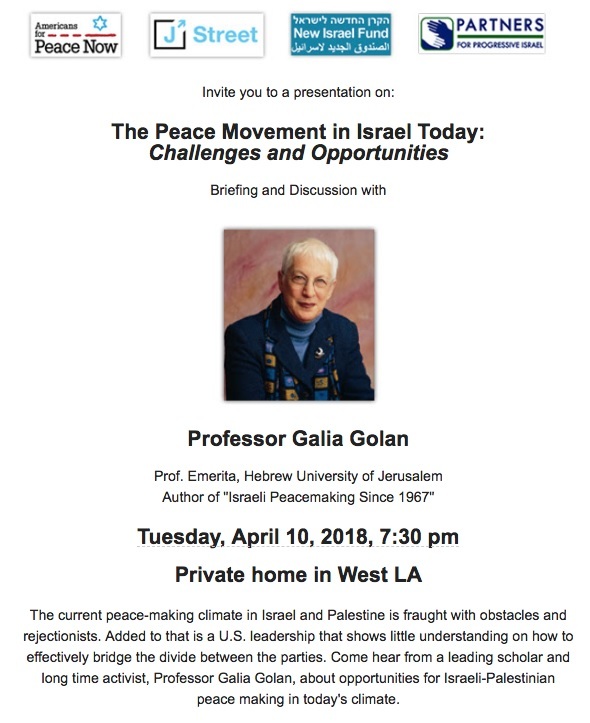 One of America’s leading experts on the Middle East, Professor Telhami will comment on the current state of American-Palestinian relations, on Donald Trump’s Israeli-Palestinian policy, on Trump’s prospective “peace plan,” and on the role of Arab governments in the current dynamics between the US, Israel and the Palestinians. 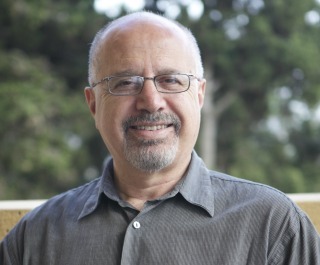 Shibley Telhami is the Anwar Sadat Professor for Peace and Development at the University of Maryland, College Park, and non-resident senior fellow at the Saban Center at the Brookings Institution in Washington, DC. 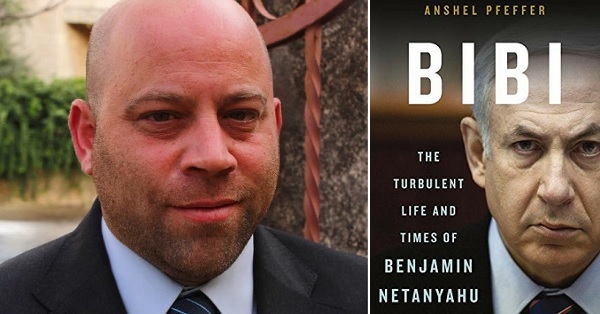 He is the co-editor of The Peace Puzzle: America’s Quest for Arab-Israeli Peace, 1989-2011, and the author of The World through Arab Eyes: Arab Public Opinion and the Reshaping of the Middle East. APN hosted a briefing call on Thursday, May 17th with Jerusalem expert Daniel Seidemann. 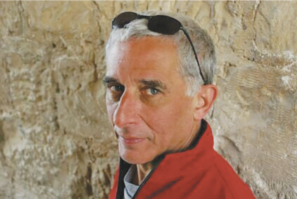 Danny discussed the impact that the Trump administration’s moving of America’s to Jerusalem has had on Israeli-Palestinian peace efforts, on Israeli-Palestinian relations in general and on dynamics in Jerusalem in particular. Danny also addressed other developments on the ground in Jerusalem and in Gaza. Debra DeLee, Debra Shushan, MK Merav Michaeli, Nidal Fuqaha, and Lara Friedman discuss the formalization of annexation. 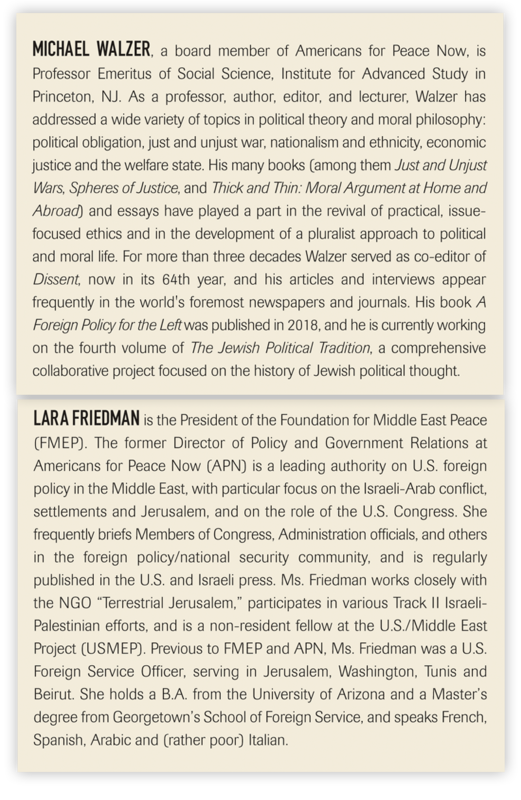 Americans for Peace Now's panel discussion at J Street's National Conference April 15, 2018. 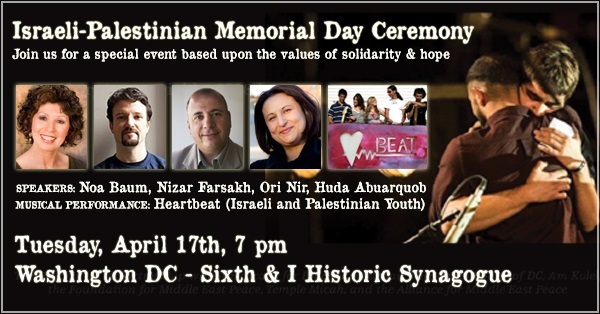 This year, communities across the US will gather to honor the annual Israeli-Palestinian Memorial Day Ceremony. 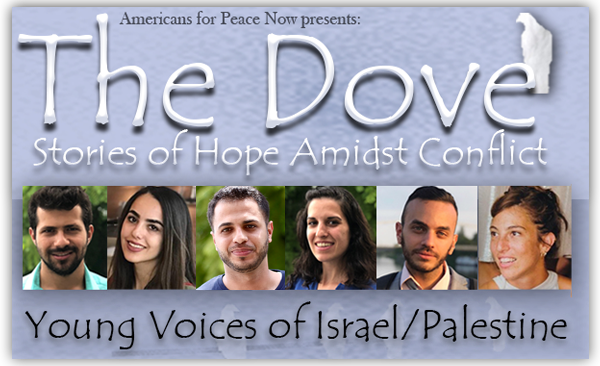 For the past thirteen years, thousands of Israelis and Palestinians have stood each year to acknowledge the pain of those living on the “other side” and envision a better future together. Join us for a special memorial event based upon the values of recognition, hope, solidarity, and non-violence. 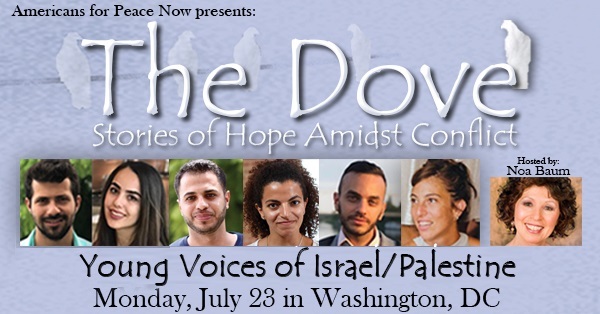 We will hear from Palestinians and Israelis who have committed themselves to these values, watch inspirational clips from the Israeli-Palestinian Memorial Day Ceremony taking place on the same day in Israel. Joined by musicians from Heartbeat youth band, we will sing, reflect, connect, and renew our community's call to end the conflict in a just and peaceful way. 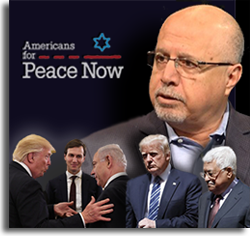 APN hosted a briefing call Tuesday, April 10th, at 1:00 pm EST with veteran Israeli political columnist Akiva Eldar. 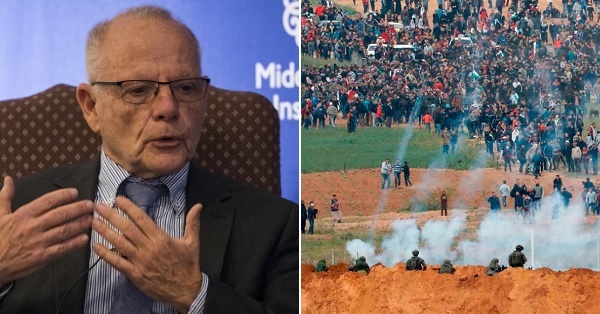 Eldar discussed the current Israel-Gaza crisis, Benjamin Netanyahu’s governing and legal challenges, Israel-US relations, and other political topics. 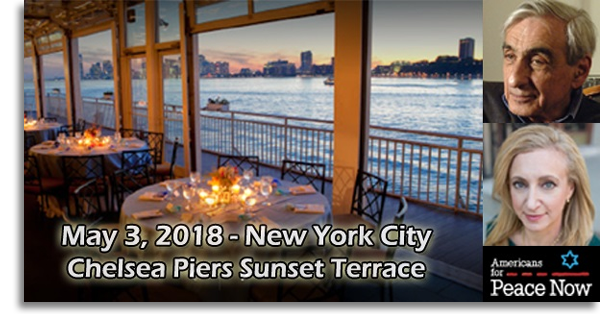 Go HERE - or see below - for an invitation to the event with a link to make your reservation to join us in New York. 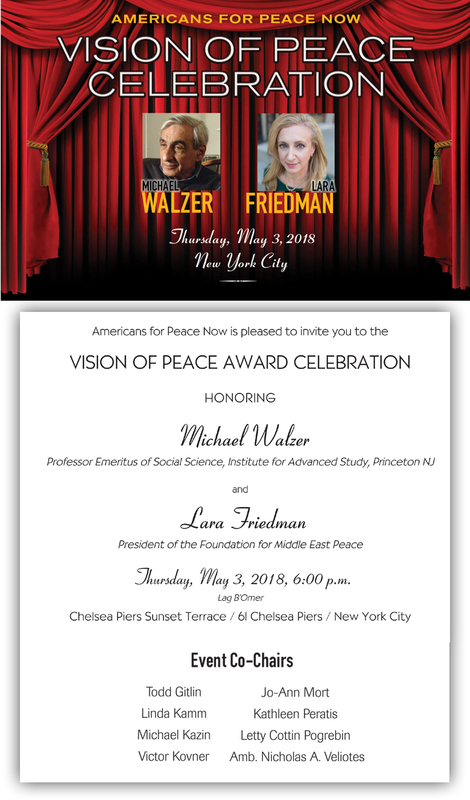 How wonderful that Americans for Peace Now has chosen Lara Friedman and Michael Walzer as the honorees for its upcoming Vision of Peace Celebration. 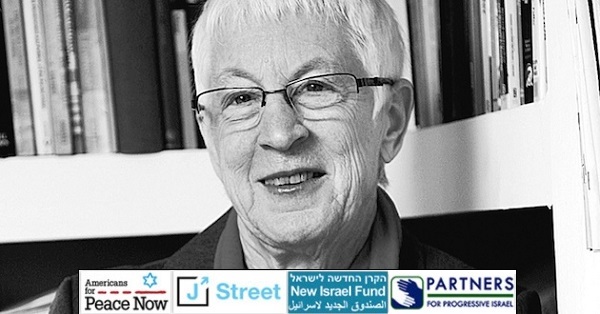 Lara, APN’s former Director of Policy and Government Relations, has tirelessly represented the risks to Israel’s democratic and Jewish character of the expansion of settlements. Always armed with the facts, she has presented them clearly and accurately to both the State Department and the Congress while also alerting us all to the effects of Israel’s shortsighted policies. Michael has been an APN stalwart and Board member from the very beginning. Better than anyone else, he has articulated the moral vision that should motivate the Jewish state and its supporters. Through his writings and his soft spoken but forceful clarity he has laid out the imperatives for a just and peaceful outcome to the conflict now in its 70th year. And APN is always there. 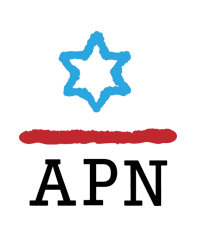 As it has provided a voice for reason, APN has built a community of Americans and Israelis who cherish the idea of an Israel that is a light to the nations and who never give up. We must give it our full support. So please join APN and Lara and Michael in an evening of tribute and rededication to the hard work that still lies ahead. Go HERE - or see below - for an invitation to the event with a link to make your reservation to join us in New York. I hope I'll see you there!! P.S. If you aren't able to attend, you can still join the celebration and congratulate the honorees, recognize the work of APN, or send a message of peace that will be shared that night in our tribute presentation. Just return the response card with your contribution and your message.